I love the festive season in Mumbai. Right in time for Diwali, the city is vibrant and overflowing with a buzz on overdrive with holiday mode in full swing,not to mention the chocolates and mithai that’s flooding my bag at the moment. And to add to this joy and celebration the ITC Maratha Mumbai,at their famous Dakshin restaurant -has introduced a Telangana menu at the able and passionate hands of Chef Sankara who hails from the newly divided state. At this juncture,I can think of Two states by Chetan Bhagat but we ain’t talking about a love story here just yet nor was Alia Bhatt at the far end table for company. The food from the state of Telangana is quite a boot camp for my senses. It’s quick and dirty with its flavors that send your gastronomic senses into a tizzy, with the level of spice playfully infused with chillies that would play tongue twister with you on multiple levels. I’m not a player in the realm quest for dragon’s breath nor do I intend to save the damsel in my shining armour this time round, however had to defeatingly quench my tickled tastebuds from the overdose of spice with a freshly squeezed sweet lime juice for company. Joined by a few foodie friends and the lovely and graceful Rini Sinha, who meticulously detailed the offerings with a doze of historical significance, it was a much needed sigh of relief before my next morsel. Mind you the food was scrumptious but the spice factor was a level 4 tectonic plate shifter in my books. Diving right into the menu the spotlights apart from the filling thali being the star of the show and a must have for an overall meal, was the Punugulu- a deep fried green lentil dumpling which resembles much of a wada and anything that deep in crunch is something loved by all. 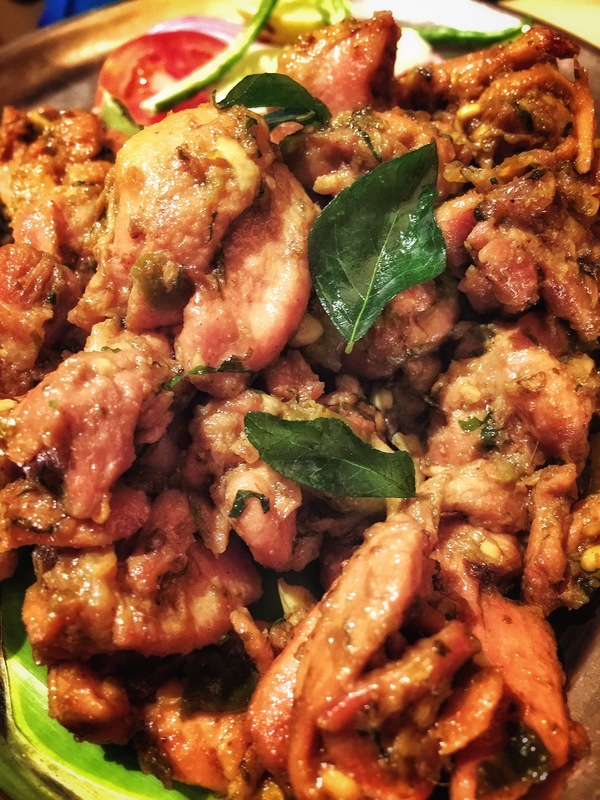 Move over immediately to the Kodi Roast- succulent chunks of fried chicken tossed in tempering chilli and koriander leaves with a melange of spice. 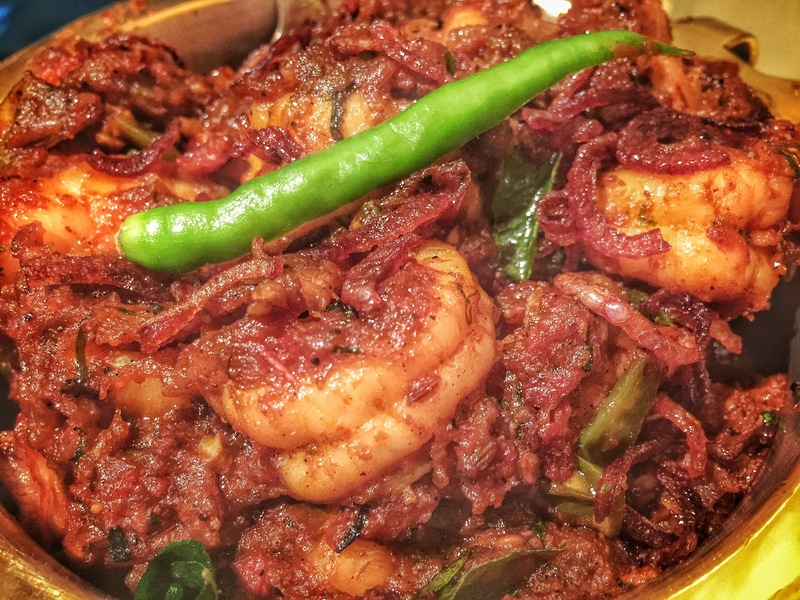 The highlight for my meal was the wafer paper thin Appam’s which I could not get enough off, accompanied with the Royala Vepudu- king prawns tossed with onion and tomato marinated with ground spices. A dry gravy, yet so moist the minute consumed with the ‘hot melt’ like appam’s. Bliss. There are a number of delights from the state on offer. Being a festival you have a limited time offer period running. It’s on from the 13th-22nd November only, so hurry and make your reservations for some mouth watering delicacies in the most literal sense of the word.